I said I would review this palette and here it is! First of all I have been loving this palette, and it’s the only one I have used throughout August. 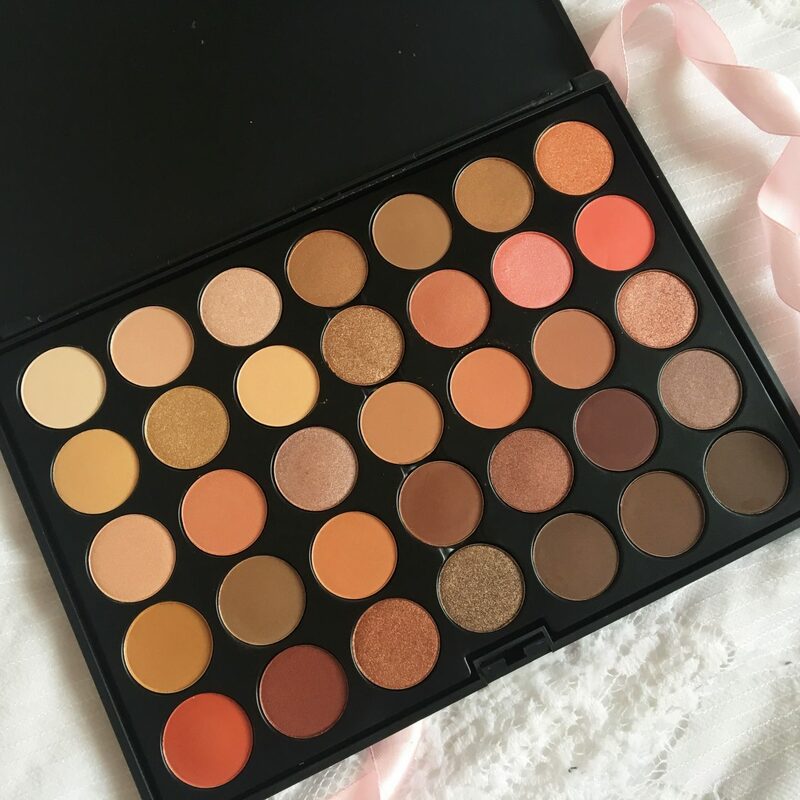 It’s got the same sort of colour scheme as the Urban Decay Naked Heat, and the Morphe 35O. Which I find is perfect for not only Summer, but Autumn too. The packaging is slim, and as I found out it’s sturdy too, as I may have accidentally knocked it off of my desk and it landed on my chair with a loud bang (they joys of being clumsy) Luckily the packaging didn’t break and the shadows stayed in tact with no sign of fallout or damage. I know a big complaint is a mirror, but I don’t find that an issue, as I’ve got to a point where I have plenty of other products in my collection that have mirrors , and even though a mirror would be nice, it’s not a deal breaker. As there are 35 shades in the palette, you get a range of colours and finishes. 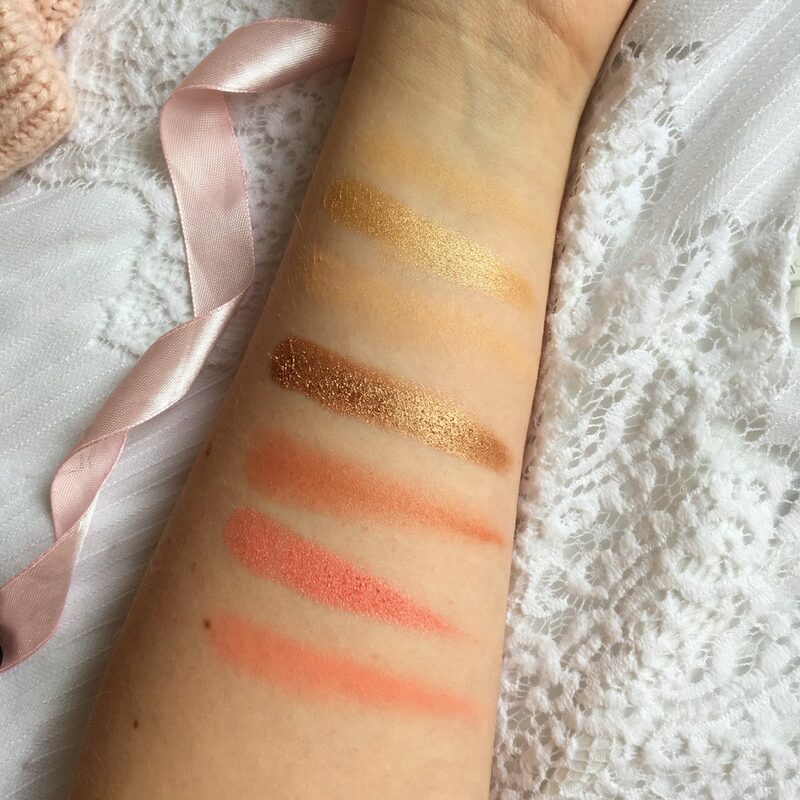 One thing I will say is that I like to swatch before I use, as I find a lot of the shades look different in the pan to how they do swatched. 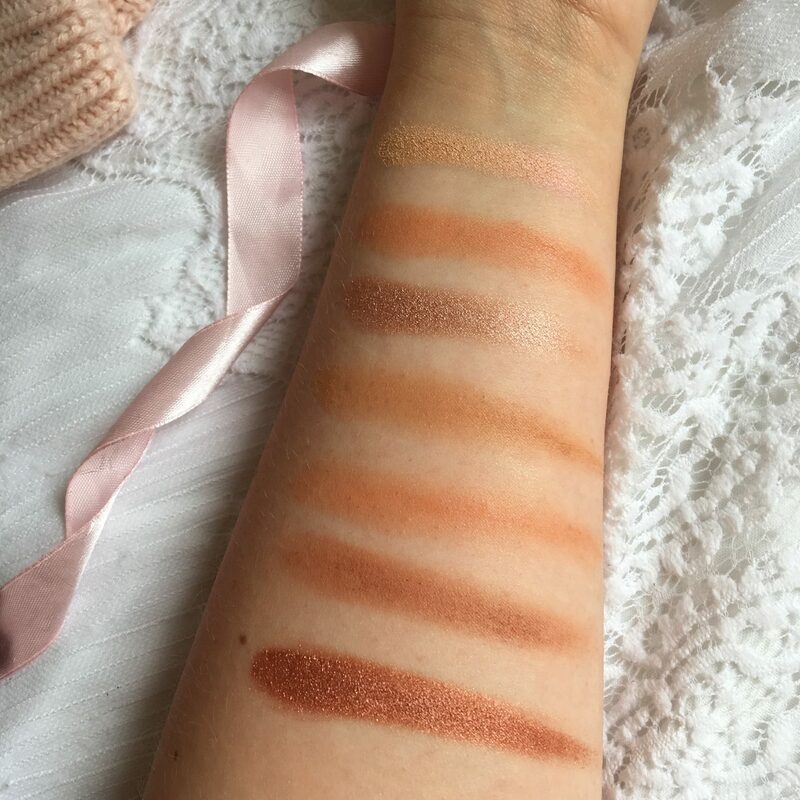 When I first looked at this palette I thought a lot of the shades looked the same; like the three browns on the bottom row on the right, but that’s not the case. I am going to swatch every colour, starting from the top row. On the photos top to bottom is going left to right in the palette. I wouldn’t say the pigmentation is incredible, but it’s good. It’s hard to describe, it’s not bad, but you don’t have the problem of applying too much if you know what I mean. I find this to be great, as it means you control the look better, as you aren’t going to have an issue of piling too much on. They build really nicely, so you can easily get a strong colour, but they do need to be built up. This is more to do with the mattes, as the metallics are a lot creamier and need less work. This palette also contains a Satin formula which is a mixture of the two. I haven’t really suffered any fall out with this palette that has been horrendous, any that does fallout, I use a brush to wipe away and it’s gone with no problems. I always use a primer when applying eyeshadow, and with the primer these last all day. Over the bank holiday in August; we went out all day. I created a look with this palette that lasted the whole day. 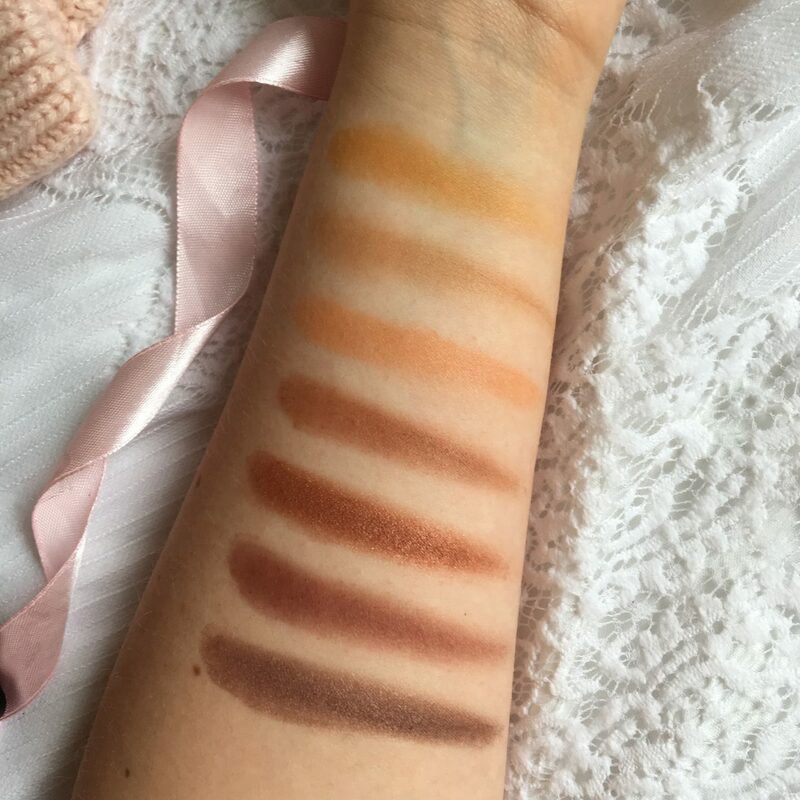 If you love warm tones then this is a palette for you. It costs £22.99, which works out at about 65p per shadow (if my maths are correct). It’s a great price, and you can create a number of looks. Again, a huge thank you to Crown Brush for sending this over! 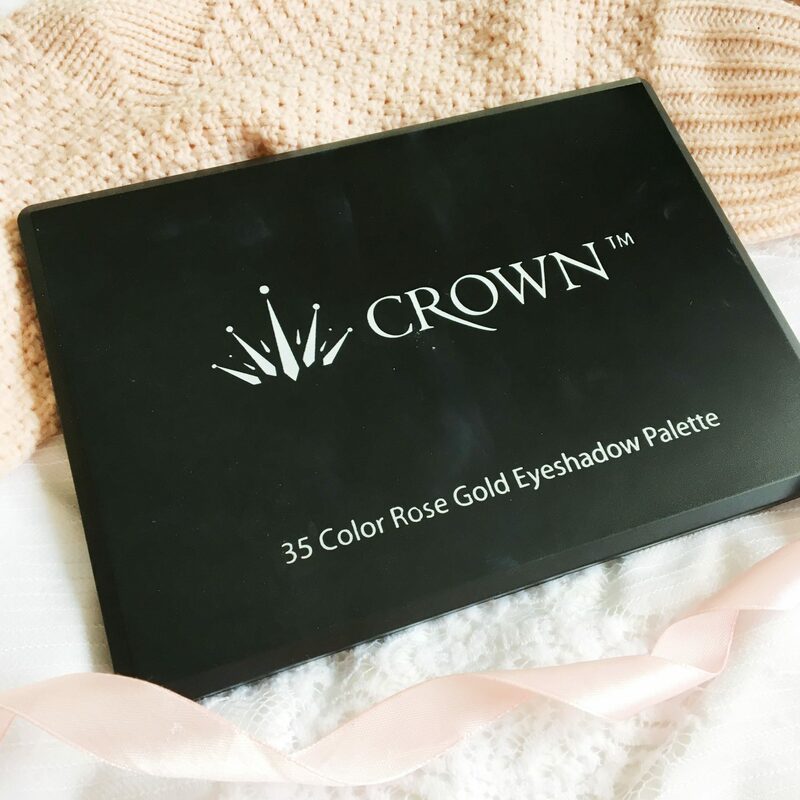 Have you tried anything from Crown Brush before? OMG! This pallete is insanely pigmented. M. Thanks for the lovely review and awesome swatches.. Sounds so good that you can control the colour, must be good if its all you used in August. I really like the colours in the pallet. Thank you for sharing. I think I’m going to look into purchasing this pallet especially with those shades. 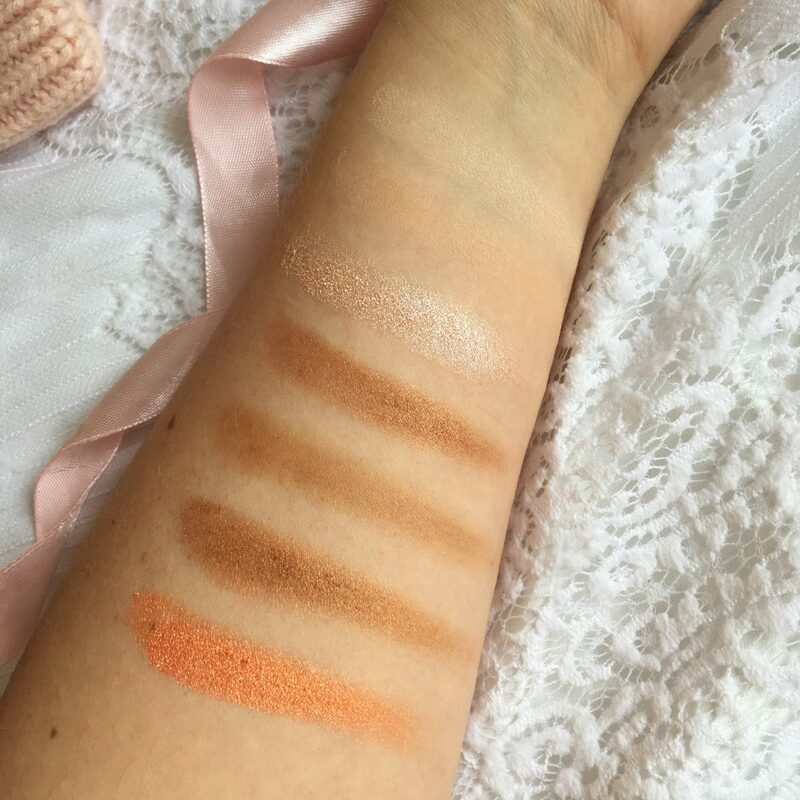 Wow, this palette is such a bargain given the similarities to the Naked Heat one! I particularly love the colour swatches in the second picture. This palette omg!! It’s so nice! 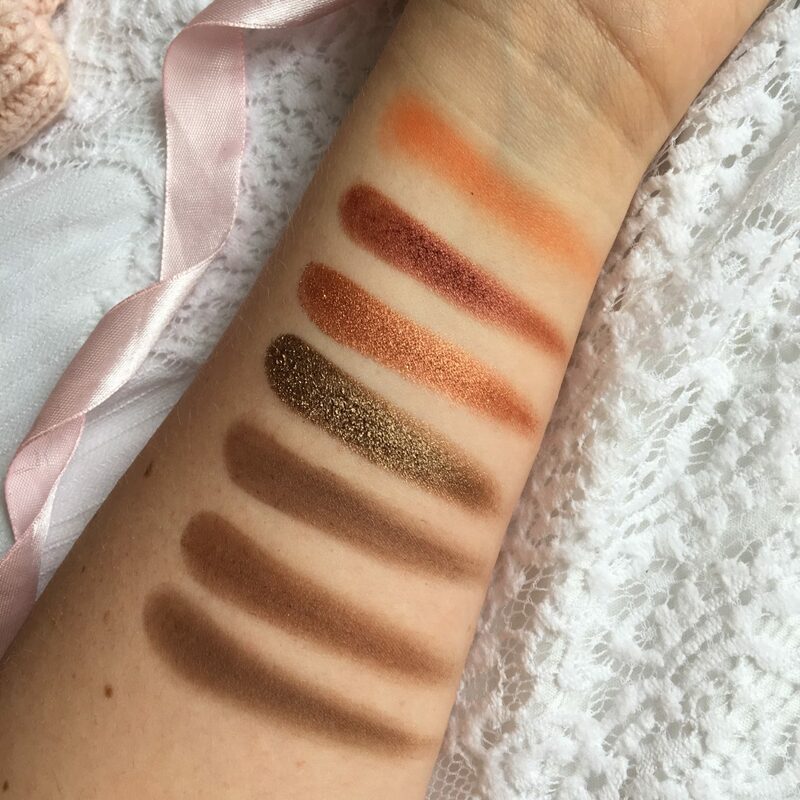 I’d actually be tempted towards the Crown palette over Naked Heat, purely because of a number of different shades you get! It’s a really great price too and the colours get me so excited for Autumn! This palette looks great, the shades are so lovely and fall appropriate!